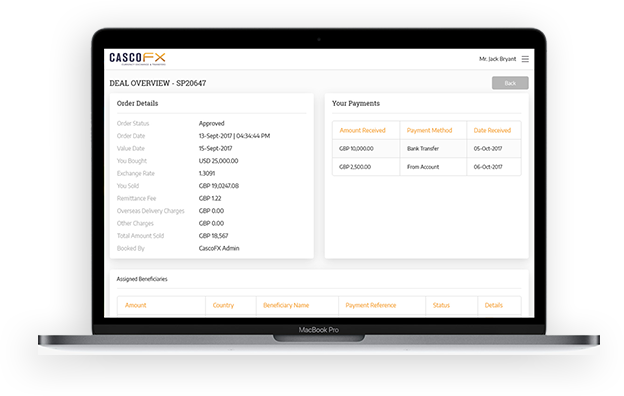 Casco FX provide a wide range of foreign exchange and international payment services to both Businesses and Individuals throughout Europe. 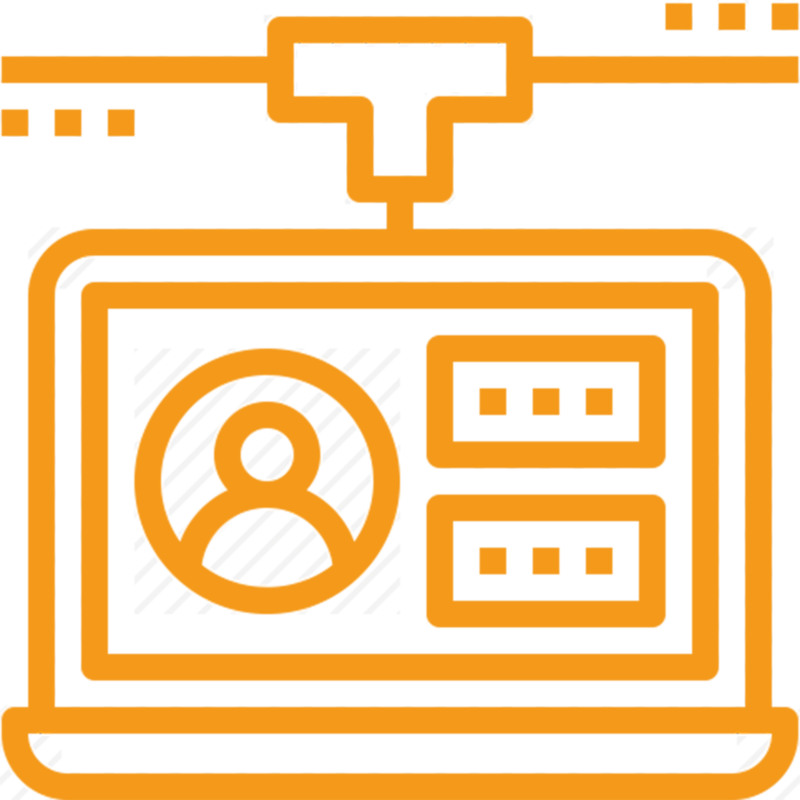 Our aim is to leverage technology, relationship management and operational excellence to help you exchange your currency at the best possible time, potentially saving thousands of Pounds in the process. Our dedicated account managers are some of the most reputable in the industry and you will always receive a personal service tailored to your currency needs. We hold strong UK Banking relationships through which all client funds are held in segregated currency accounts. Casco FX are also authorised by the Financial Conduct Authority. Our team of experienced Account Managers will take time to understand your business needs & currency goals, working alongside you to find the most suitable solution for your FX requirements. For more information about how Casco FX can help you, speak to a member of our team today. We understand that trading internationally can cause security, logistical, supply chain and cash flow issues for your business. 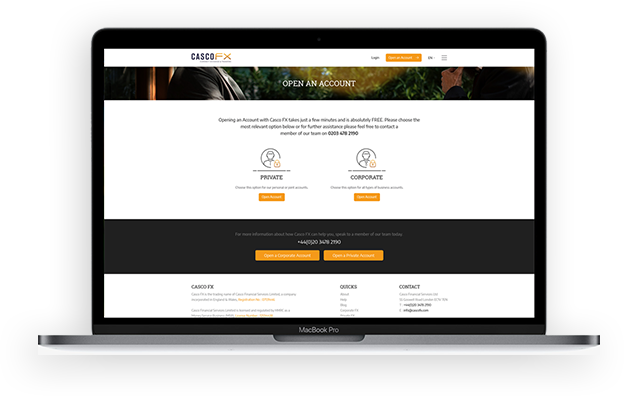 Casco FX is perfectly placed to help you not only save money with competitive exchange rates, but we pride ourselves on a superior level of customer service and ultimate efficiency. Our cutting edge technology means you can buy and sell currencies, make single and multiple payments, upload and save beneficiary banking details, check existing trade information, download reports and access live FX market prices from anywhere in the world 24 hours a day, for 5.5 days a week. Casco FX have helped thousands of Individuals save money when making overseas payments. Regardless of whether you're buying a property overseas, purchasing high value items from abroad or simply making small regular transfers, we can save you time and money. 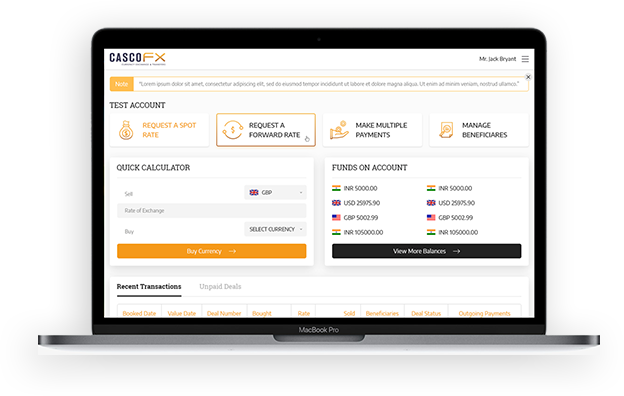 Casco FX provide a wide range of foreign exchange and international payment services. A couple of payments to Denmark. A couple of payments to Denmark. As always Kane has been very professional and practical. He makes the process so easy. Highly recommend. Been deal with the same People/company. Been deal with the same People/company and always had great service. Put my trust & my money into the hands. Put my trust & my money into the hands of colin & casco fx and was rewarded with a fantastic service and the best rate for my money will be recommending to all my family & friends. I love being able to book transactions. I love being able to book transactions online and they offer a very competitive rate. I've used CascoFX for a couple of years now. However, I do find their online booking system a bit cumbersome. I'm sure it could be made a bit more user-friendly. Makes International payment extremely easy without having to fill in loads of forms. The experience with Casco FX with regards to sending money is simply great. They are highly efficient, friendly and professional people. Fast, competitve & great people to deal with. Very fast, very helpful, great rate (& I work in a bank). Thankyou, I wish I had known about you in the past. 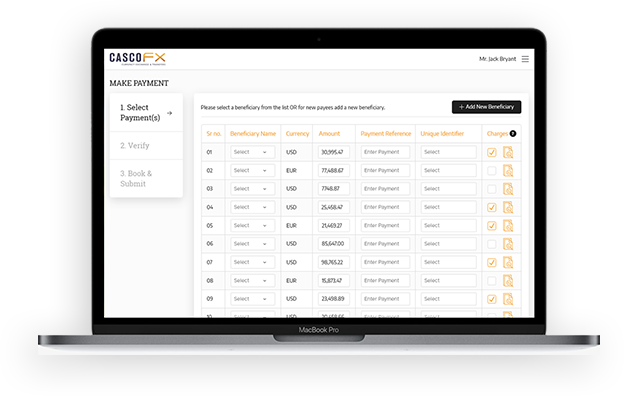 Casco FX are quick and reliable and make foreign exchange an easy process. Our dealer, Kane, is always cheerful and informative about market activity. You get pretty close to the spot rate too.